To eat wild foods, you needn’t crawl through the forest or hunt your own game. Many of these foods are as close by as your local supermarket. 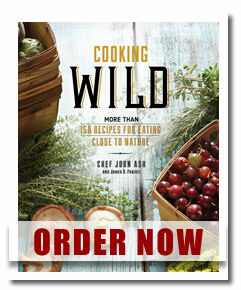 COOKING WILD (Running Press; May 2016; $35 US/$45.50 CAN), by Chef John Ash and James O. Fraioli, takes a big view of “eating close to nature,” including recipes and information on foraged and uncultivated foods as well as looking at the progeny of wild foods more conveniently found for sale alongside their conventional cousins. Warm Dandelion Salad, Grilled Trout with Herbs and Pancetta, Fried Wild Rice, Spatchcooked Pine Chicken, Manhattan Clam Chowder, and Rhubarb Galette are only a few of the different tastes you will encounter in COOKING WILD. Uncultivated foods are better for the planet and your plate, so for best health—and best flavor!—go wild! Increasingly, Americans are concerned about where their food comes from, how it’s produced, packaged, and marketed. Heritage breeds, Paleo diets, farmers’ markets, and environmental and climate concerns all point to increased interest in foods that are as natural and un-manipulated (read: healthy) as they can be. In this book, plants, seafood, meat, and birds are all covered in more than 150 recipes, and will serve as a historical, agricultural education for you and your kitchen. Chef John Ash is a two-time James Beard award-winning author, teacher, and restaurateur. 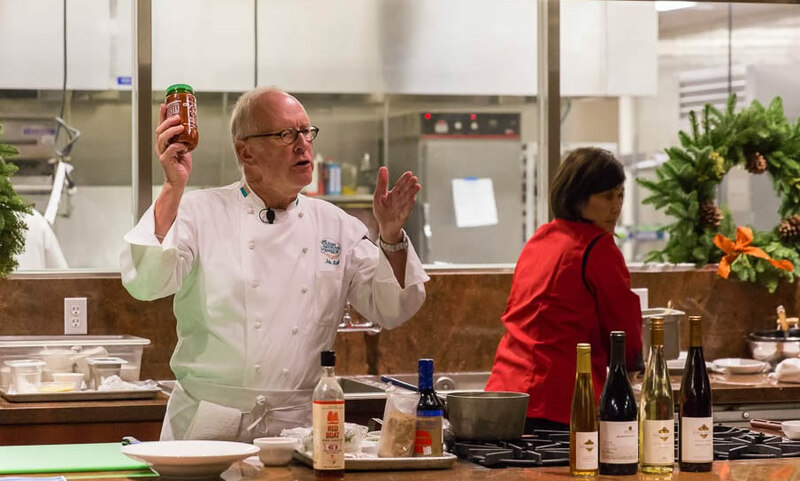 He co-hosts a weekly food and wine radio talk show, The Good Food Hour, broadcast in Sonoma County, and teaches cooking classes at various cooking schools, including the Culinary Institute of America in St. Helena, California. His most recent book, Culinary Birds, won a James Beard Award for Best Single Subject Cookbook. He lives in Santa Rosa, California. James O. Fraioli is an award-winning cookbook author and a 2014 James Beard Award Winner for Culinary Birds. He has 20 cookbooks to his credit, and has edited and contributed to dozens of food and wine magazines. He lives in Redmond, Washington.